My name is Marc. I work for Tom Malloy the son of Emmett Malloy. We are looking for the Champ Car that Jimmy Reese drove at Indy. I know it is like a needle in a hay stack, but we have to start somewhere. Any leads to where it might be would be greatly appreciated. Marc, here's what I've got so far, I'll try to find other photo's if you tell me which ones you would like to see. Jimmy Reece - 1952 start 23rd, finish 7 in a Kurtis Kraft KK 4000 with Offy power, owned, entered by John Zink, black and orange #37. Jimmy Reece - 1956 start 29 finish 9, Lujie Lesovsky built roadster with Offy. owned by Joseph Massaglia Jr. "Massaglia Hotels Spl" white, gold, blue #26. Jimmy Reece - 1957, back in a Kurtis Kraft a KK500 with Offy power, owned by Fred and Richard Sommer, "Hoyt Machine Spl", red, yellow,black #5 started 6th finished 18th. Jimmy Reece - 1958 back with John Zink, in a Watson Roadster with Offy. Maroon and white #16, started on outside front row, was involved in famous first lap wreck, but recovered to finish 6th, his last appearance at Indy he would die at Trenton in Sept. of that year. Reece in the "Malloy Spl", Pankratz now on the dirt , Langhorne, PA in 1954. Thank you Mitch. I have a little more info. The car was sold by Malloy in 1955. It then became the Morcroft Special driven by Jimmy Davies 1956 #3 then driven by Gene Hartley in 57-58 #88, Eddie Johnson in 1955 #5. I will post some pictures of the car when it was last seen. It is thought to be in the midwest. It has a Chevy in it with a roll cage. It is #63 In the photo, the car still has the long brake handle on the left side. Thank you again. My name is Don Sommer. My grandfather and father owned Hoyt Machine Co. and the Special from 56-58. It was in the 56 race with Ed Elisian. The 57 race with Jimmy Reece who also drove it in the Race of Champions. It failed to qualify for the 58 race with Gene Hartley and was later wrecked at Daytona with Dempsey Wilson at the wheel. I'm a new member so I can't post an active link. I would be interested any pictures related to the car or it's drivers. I have pictures that I would be happy to share. Thanks to Mitch G. for doing the majority of the initial research into this search. I was at Tom Malloy's a few weeks ago and he and Jeanne are still hopeful the remnants of this car will show up in the back of someone's garage in Eastern Ohio/Western Penn. 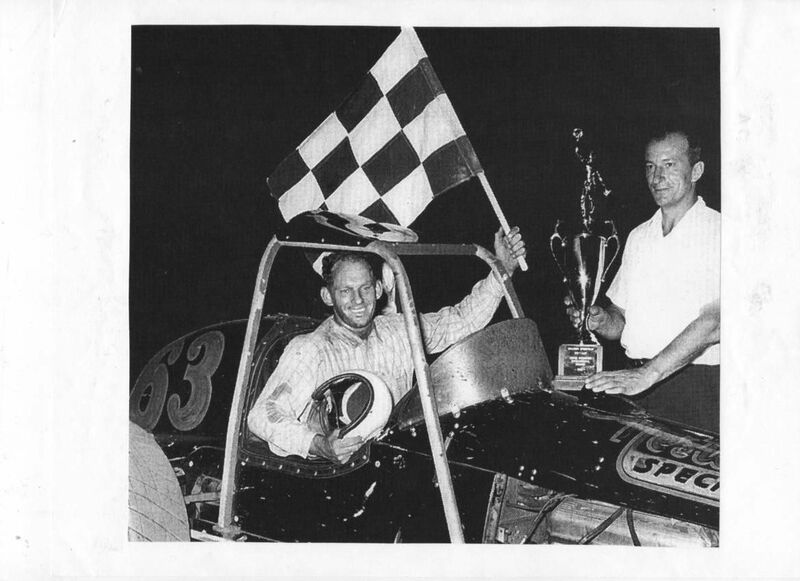 Here's the latest - my letter to Paul Weiesel of The Eastern Auto racing Historical Society. For Tom Malloy and Jeanne Caliva – Malloy Motorsports, Corona, CA. There has been a search going on for the remains of the 1953-4 Malloy Special Indycar, later to become a sprintcar that was last seen and campaigned in 1970s PA. Hence this request to you and your PA associates for any info that can help in locating the car. Tom Malloy et All have been searching the past few years for the current remains of the 1953 (Emmett) Malloy Special. One of two built by Bob Pankratz – the sister car resides in the PNW whilst the Malloy Car went through a number of transformations and was last seen as a sprint car in the PA area in the 70s before being sold by Akron based Hobe Nestor. I’m pretty sure I contacted you when I first began helping Tom look for the car via the internet two years ago but just in case you missed it, here’s the data once again. We’ve had thousands of ‘hits’ and some leads that have led to the current ‘last seen’ data. Would you see what you can do to help Tom locate the remnants of this car? Very much appreciate any help you can offer. Also want to thank you for the EARHS Newsletters you have forwarded to me. The following sequence is from past search attempts. M.Hart"Thank you Mitch. I have a little more info. The car was sold by Malloy in 1955. It then became the Morcroft Special driven by Jimmy Davies 1956 #3 then driven by Gene Hartley in 57-58 #88, Eddie Johnson in 1955 #5. I will post some pictures of the car when it was last seen. It is thought to be in the midwest. It has a Chevy in it with a roll cage. It is #63 In the photo, the car still has the long brake handle on the left side. Thank you again." The car was sold by Malloy in 1955. It then became the Morcroft Special driven by Jimmy Davies 1956 #3 then driven by Gene Hartley in 57-58 #88, Eddie Johnson in 1955 #5. I will post some pictures of the car when it was last seen. It is thought to be in the midwest. It has a Chevy in it with a roll cage. It is #63 In the photo, the car still has the long brake handle on the left side. The Sid Street car is the one that went to the Pacific NW. That is the sister car to the one we are looking for. 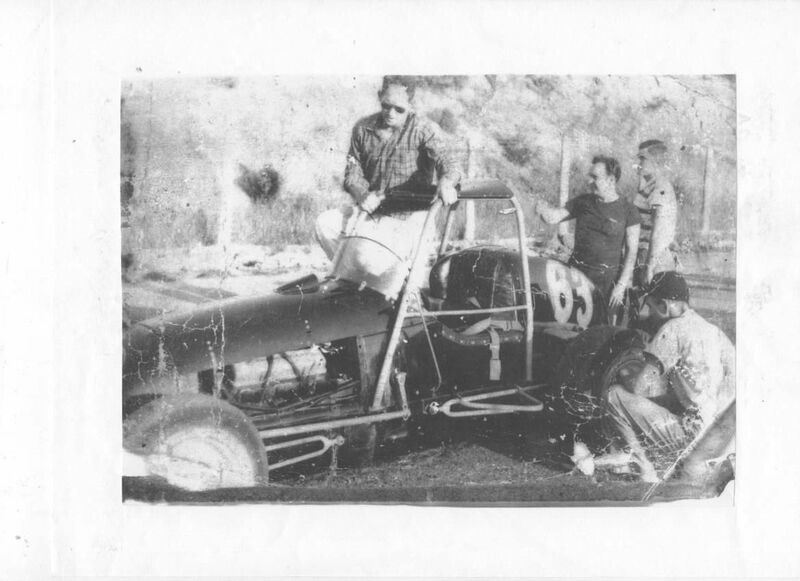 The Malloy Special was sold to Morcroft and became the Morcroft Special car #88 driven by Gene Hartley and car #3 with Jimmy Davies and #27 with Tony Bettenhousen. Bob Pankratz built two champ cars. The first car was for Sid Street that appeared at Indy in 1951 and 1952 but did not qualify either year â€“ this is the car you are talking about that Buzz Barton drove. The second car (which is the one I am looking for), Bob started building in 1952 (it looked exactly like the Sid Street car). It showed up for the first time in the 1953 at Indy but failed to qualify. It returned in 1954 to qualify 7th and finished 17th. It returned again in 1955 to qualify 15th and finished 33rd. Jimmy Reece drove it both times as the Malloy Special. I hope this information clears-up thing referencing the two car and which we are looking for. Now that I have posting privileges I will post the following 'last seen' photos of the Malloy Spl in its sprintcar config. Larry, Please check your PMs - Malloy group wanting to contact you to discuss your knowledge of Malloy Special.